Ever wondered why films take months or even years to make? That’s because there are a lot of things that need to be done before they can be released. 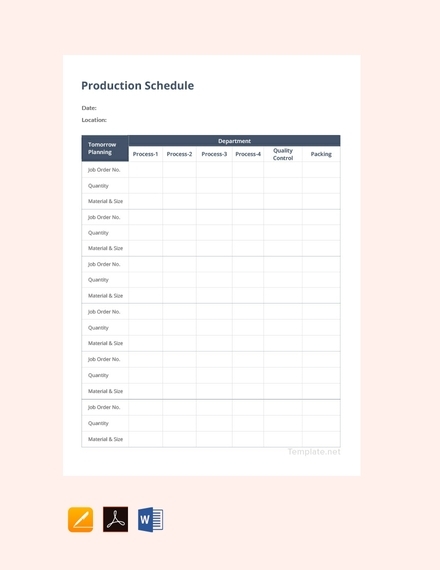 To keep the project team on track, a good media schedule is necessary. Media schedules are most common among small-scaled projects. But despite how simple they appear to be, they must be constructed correctly to ensure a successful outcome. Dates: This can be a vital component in monitoring the progress of a given project. When something goes wrong, project leaders may be forced to trace past entries in the schedule to see what might have caused the error. This is particularly crucial in work schedules and construction schedules. 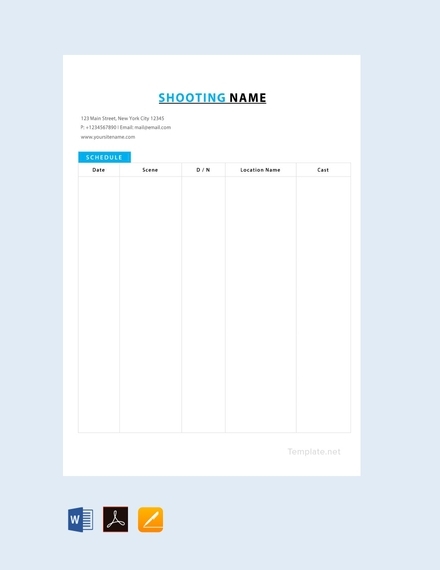 Tasks: In certain cases, the schedule will record the tasks that members will be required to do, or might have already done. Large projects typically consists of subtasks in a project. By breaking them down into smaller, more manageable chunks, you can prevent anything from being forgotten or delayed. Time Frame: Some schedules might have a time frame in the form of a bar or line to illustrate how long a task is expected to take. One example would be a Gantt chart schedule. This serves as a guide to ensure that every subtask is completed on time so that the entire project may be finished on the dot. Milestones: There are a number of steps that need to be accomplished before a milestone can be reached. These are instrumental to a project’s completion and success, as they offer a feeling of satisfaction and progress during a hectic time. Milestones are usually displayed when a time frame is involved. Dependencies: While some tasks can be done at any given time, others could only be accomplished before or after another task has begun or ended. These dependencies are common in project schedules that function similarly to a process flowchart. Resources: An organization’s human resources play an essential role in the completion of a project. Say for instance, a production company has been hired to make a TV commercial for the Super Bowl in a few months. Given the size of the project, the schedule should list the names of project members and their corresponding tasks. This will help you manage the project in a timely and efficient manner. Having a go-with-the-flow kind of mind-set isn’t going to get you to where you want to be. Oftentimes, a schedule sheet may come in handy to help you organize your time and make the most out of each day. 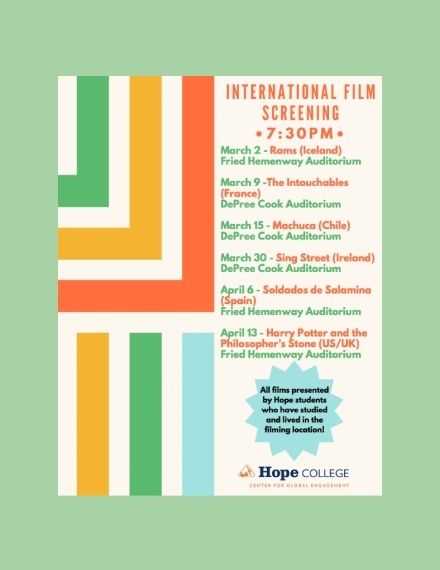 So whether you’re a theater arts student or a professional cartoonist, learning how to develop a good media schedule is sure to keep you on the right track. If you work in a group of which you need to share the schedule with, you’re most likely to have members with personal schedules that don’t complement yours. Take this and other factors into consideration and establish the time you want to make available for the project. Since some tasks may be completed by the assigned individual alone, you can focus on allocating hours for group work instead. Identify the things you must do to get the job done. This includes the tasks related to the project’s completion, employee issues that need to be dealt with, as well as supervision needs to destroy the barrier between leader-member relationships. Communication is crucial to the outcome of a project, so take the time to connect with other members when you can. Truth is, there isn’t enough time to finish everything in a day. Multitasking can lead to a poor performance, so instead of cramming all your responsibilities within a 4-hour time frame, concentrate on high-priority and urgent activities first. You can also try arranging these activities for the times of day when you are most productive. That way, you can accomplish more than you normally would on a busy day. Mistakes and unprecedented events are bound to happen without prior warning. Thus, it’s important to schedule some extra time to cope with potential contingencies and emergencies in the future. Sudden interruptions can eat up a lot of your time, prompting a dramatic shift in your schedule. But with a flexible schedule, you can easily adjust and respond to these issues as they arise. Finally, remember to review your schedule regularly to see if any changes need to be made before embarking in another task. 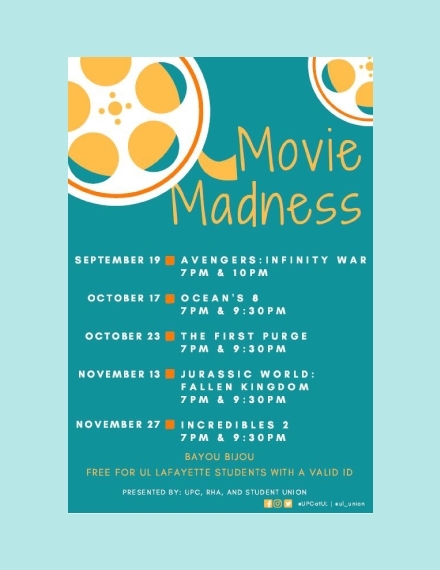 Perhaps there are activities that need to be added or removed from your schedule. You can work double time to keep up with your schedule, or simply delegate these tasks to other members of the group. To avoid last-minute revisions, be sure to analyze your activities from time to time. Be realistic: Never push yourself or your team to do more than what they’re capable of. People in the multimedia industry tend to work long, stressful hours. But as much as you want to meet your deadlines, try not to overwhelm everyone with an overpacked schedule. This will only garner poor quality results and leave you with an over-fatigue workforce. Keep it flexible: Changes in your schedule are hard to avoid. After all, unpredictable events and shortcomings always occur at the most random times. 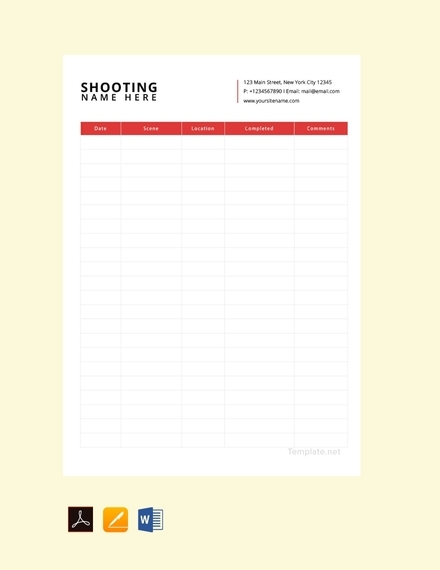 So to accommodate emergencies and other conflicts, it’s best to use a scheduling software or to print out the outline of your schedule on a piece of paper and use a pencil to input activities and other entries which may easily be adjusted when necessary. Follow a proper structure: Always remember to keep your schedule as organized as possible. Don’t make it difficult for people to read its content, as this may cause confusion or miscommunication within the group. You can use headings, lines, and tables to help separate items and highlight significant actions. Color code items: Another way to emphasize activities and other entries is through the use of color. This technique will help draw attention toward items that need to be attended to right away. You can use color to set your priorities and remind readers of an important deadline coming up. Plan ahead: No excuses. If you want something done on time, you should consider making an action plan for it. You can start with a draft and then outline your schedule to identify priorities. 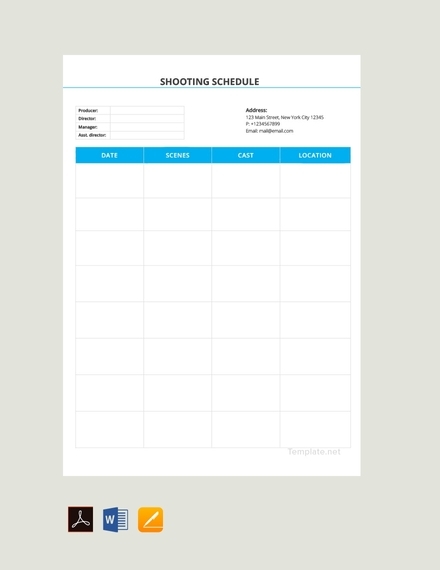 By scheduling in advance, you can easily determine every single task that needs to be completed in order to bring your team one step ahead of the game. 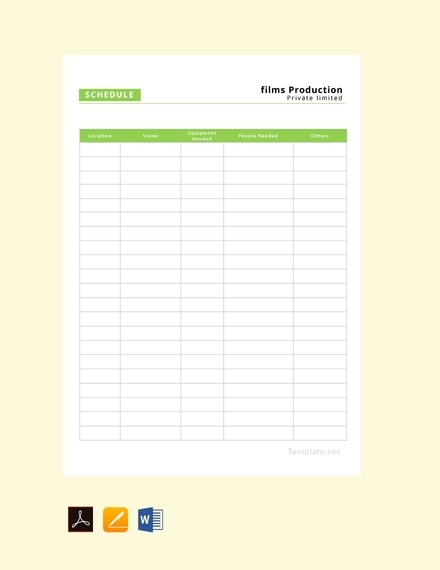 Media schedules are often utilized by those in the film and event production industries. This includes students, field professionals, along with their respective audiences. Listed below are some of the major classifications of media schedules. 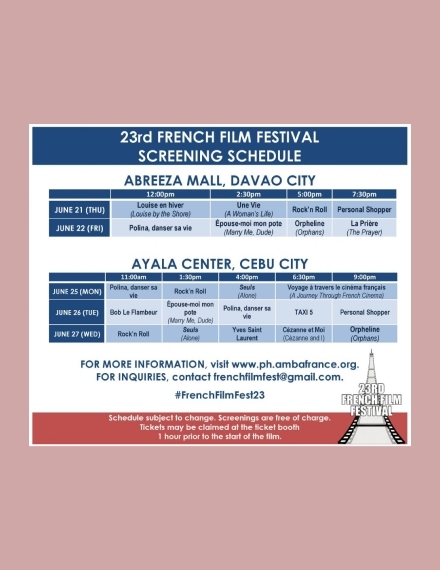 Public Schedules: These are typically disseminated for public use. 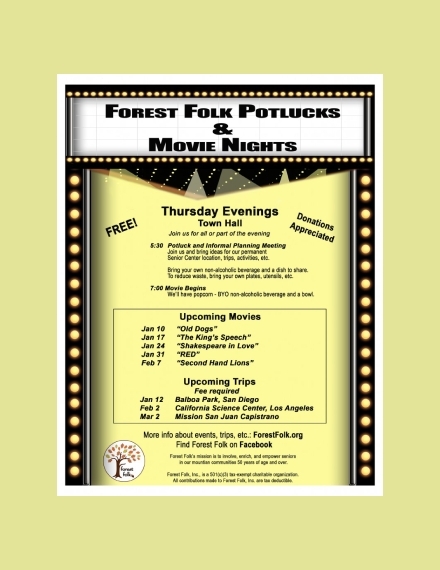 One concrete example would be the movie schedules we often see at cinemas and theaters. This is often used to communicate business information to customers who might need it. Radio and TV broadcast channels also use this type of schedule to relay important business matters to subscribers. Schedules for Internal Affairs: These are the schedules used within an organization. 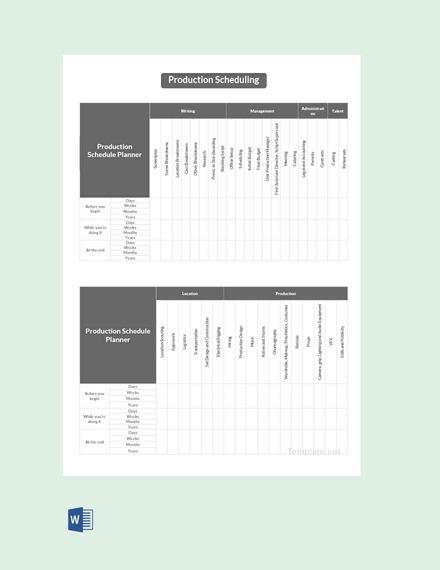 Directors, assistants, videographers, actors, and other staff members refer to these media schedules to find out when their services are needed at the studio. This may be used for meetings and project planning sessions as well. Academic Schedules: Educational institutions use schedules as a guide for students and instructors to refer to. Here, media schedules are quite different than your average student schedules as students may be required to come to class during the wee hours because of special workshops such as photo walks and the like. 1. 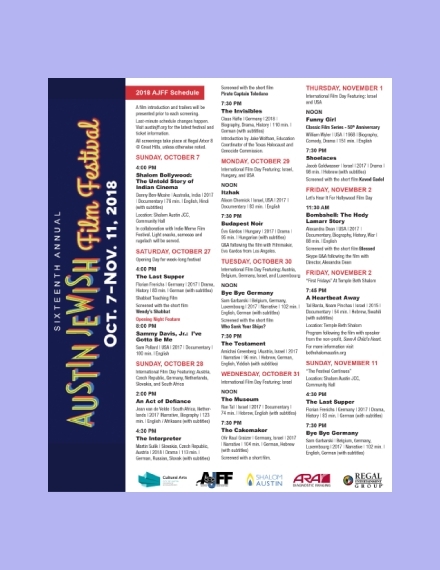 How can I make a media schedule? To develop a media schedule, simply make a list of actions or activities that need to be done within a specified time period. You can then organize these items in a calendar or table to make it easier to monitor and follow. 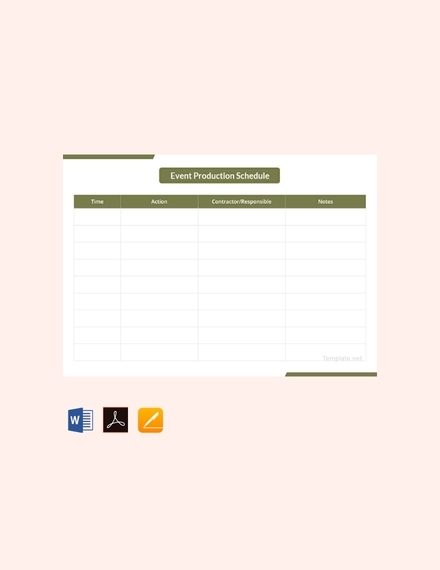 Using a schedule template is also advisable for those who don’t have the time nor the patience to build one from scratch. 2. 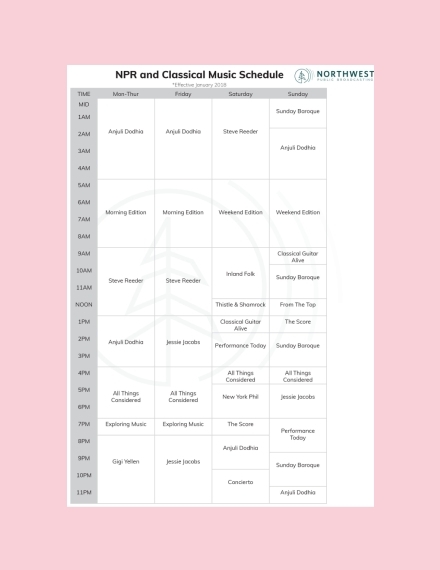 What is the purpose of a media schedule? A lot of people find it hard to meet deadlines on time. Time management is a crucial factor that contributes to the success of a program or project. So without a schedule to follow, you tend to lose sight of your main objective and forget what you’re supposed to do in the first place. A media schedule provides a clear flow of what needs to be done in order to fulfill a task. 3. Why is a media schedule important? 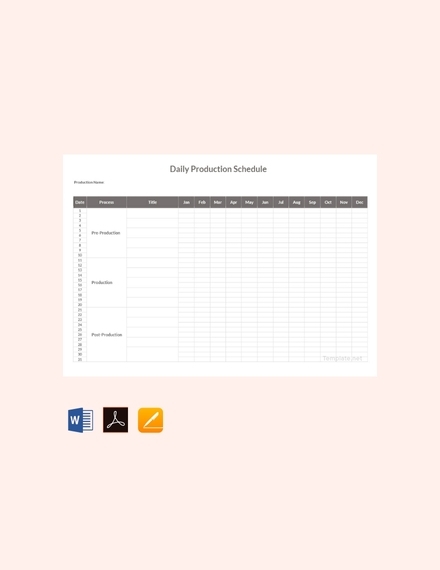 Media schedules are perfect for efficient project management. With the number of tasks that need to be completed before a deadline, using a schedule will help you keep track of time. This will help define and organize your to-do list, identify how much time is needed to complete them, and keep you and your team fully productive throughout the course of a project. Build a path toward success by creating a good media schedule for you and your team. 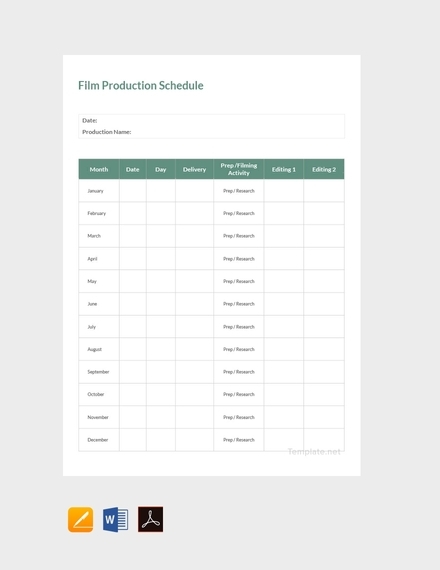 With the help of these templates and examples, you can develop an effective media schedule and complete your projects right on time!